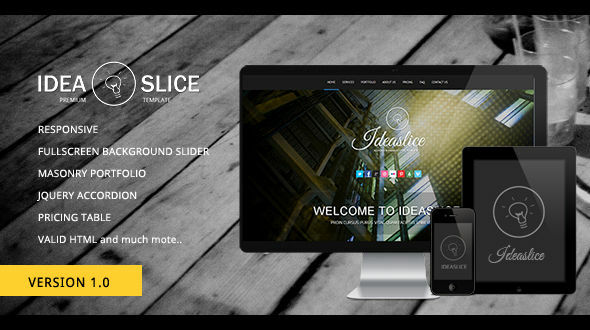 Ideaslice– A perfect Portfolio template for companies, individuals and professionals. This template was designed with Responsive design, which fits to all screen sizes from mobile to desktop. Comes with a Stylish masonry portfolio , Jquery Accordion, Video support , Pricing table and much more. Check demo for more information.